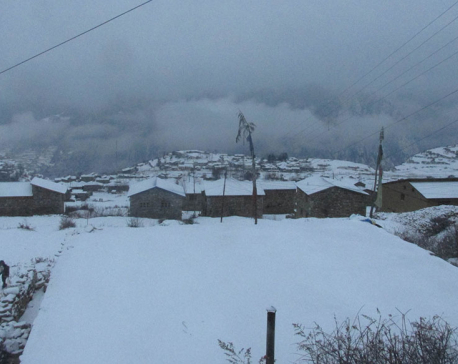 DOLPA, Jan 26: Mountainous district Dolpa of Nepal experienced heavy snowfall on Friday for the third time. The snowfall has brought life to a standstill. The Juphal Airport which was closed following the heavy snowfall resumed on Friday three days after the disruption however it again was shut down on Saturday morning. 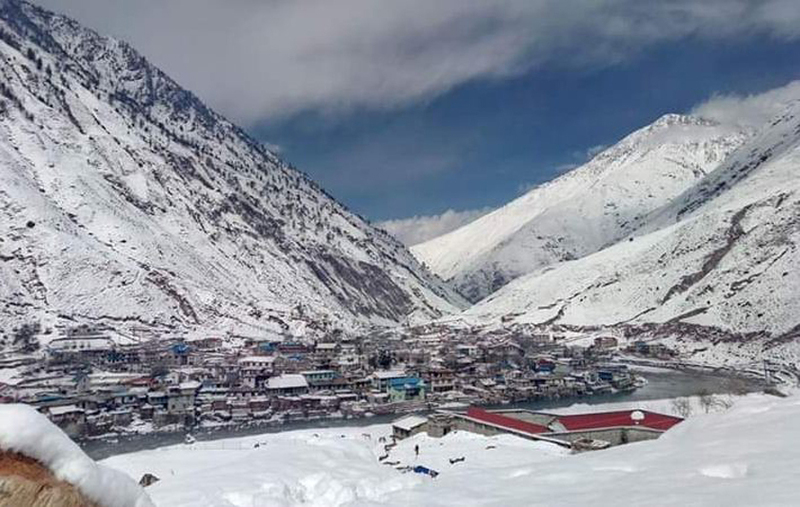 With the disruption of the flights to and from Dolpa, people’s mobility and the supply of goods has become much difficult. 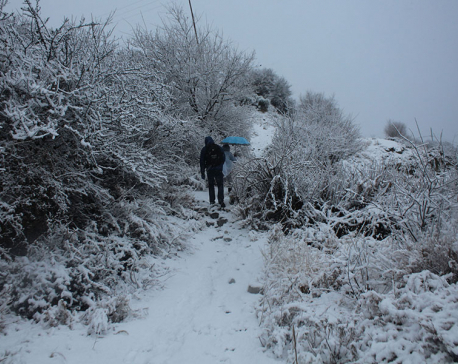 Likewise, farmers are happy to welcome the snowfall at the time while they were depending upon the rainfall for the crop production. Chandra Lama, a local says, “It also improves the production of the valuable medicinal herb ‘yarsagumba’. 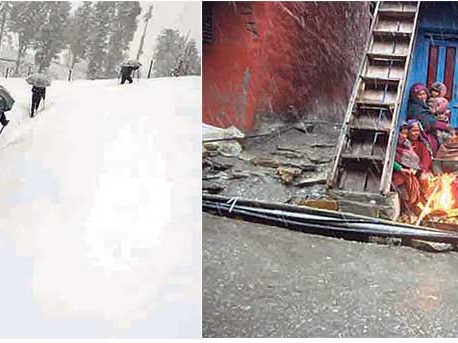 HUMLA, Jan 7: The snowfall that has occurred since Sunday night has increasingly affected normal life in Himalayan district, Humla.